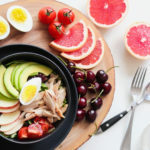 Everyone knows meal planning can save you lots of money, time, and your sanity, but not everyone knows how to meal plan the right way to achieve those goals. Follow this easy 10-step meal planning method and save your time and sanity, all while eating a whole lot healthier. 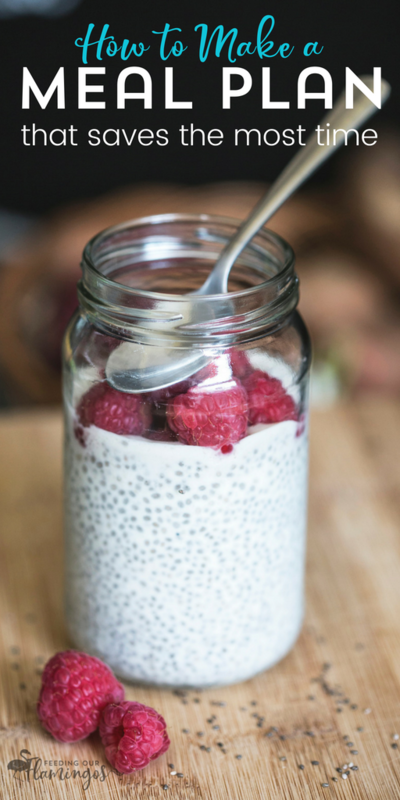 Oh, and don’t miss the tips on how to get in the habit of meal planning! It’s Monday morning and you slept in – after pushing the snooze button a gazillion times. The week has begun. Yippee! All day long you find it almost impossible to come up with anything semi-healthy to feed you and your kids. Breakfast was toast with bananas and lunch was canned soup (for you) with peanut butter and jam sandwiches. You spend the afternoon running errands and return home at 4:30. Your husband comes home from work in 45 minutes. You frantically search your cupboards and fridge for something to make and serve by the time he gets home. You find some tuna, half-stale bread (one of your kids left the bag open at lunch time), and a few chips. Tuna sandwiches it is. Oh. What about a veggie? You check your freezer and find a bag of peas and corn you can heat up. You’ve got 25 minutes left. Plenty of time. Oh, wait. You forgot to make sure you have some mayo for your tuna sandwiches. If you remember correctly, you ran out of that a few days ago. You check in the fridge, and sure enough, no mayo. You could pack up the kids and run to the store for the mayo. Or you could try making a different meal. Whatever you choose, you probably won’t have dinner ready at the time you want. Is this hypothetical scenario stressing you out as much as it is me? If this kind of thing has ever happened to you, then you know exactly how stressful it can be when you don’t meal plan. You are a busy mom. A meal plan should be quite high on your priority list. Trouble is, you don’t know how to make a proper meal plan. After reading through this post, you’ll know everything you need to in order to meal plan for your busy lifestyle. You’ll also know how to develop a meal planning habit so you aren’t stressed out about dinner (or any other meals) anymore. Meal planning has my heart. When I’m organized and put together a plan, my family eats healthier meals, we spend less money overall, and I don’t stress about meal time because choices have already been made. But I am no stranger to those days, weeks, and sometimes even months when meal planning just doesn’t happen. Our meals tend to have far fewer vegetables, a whole lot of carbs, and not very much variety. We spend more money on groceries or eat out more. It sends me over the edge, because my kids are whining about what we’re going to eat for breakfast, lunch, snack, or dinner. I just can’t think with all that pressure. Can you actually save time meal planning? I don’t think it takes too much time to meal plan if you have a process. Because I like to give my family a variety of foods and eat in season, I spend about an hour every week meal planning. But when I keep things simple and familiar, I can get it done in just 30 minutes or less. Now, of course I’m making a lot of assumptions here. But you can see that just by not meal planning, you spend a whole lot of time trying to think under pressure, driving around to get food, and walking around the grocery store aimlessly. 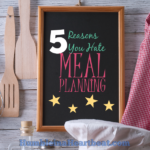 According to my rough estimates, you could be spending upwards of 2 hours and 35 minutes each week on tasks that you wouldn’t have to do if you were meal planning. Do the math if you don’t believe me. Personally, I would rather spend 30 minutes each week coming up with a simple plan so I can utilize my time throughout the week how I want. It’s obvious that meal planning takes less time than not meal planning. But where do you even start? These are the steps I recommend you take each time you do a meal plan. My meal planning method is designed to help you save time. It can also help you eat much healthier over your I’m-just-going-to-wing-it method. Write down important events happening during the week so you can plan your meals accordingly. Take inventory of the food you already have and need to use up. Pen in at least 1 night for leftovers and/or takeout. Choose your dinners for the week. Don’t forget to plan for your other meals as well. Write your shopping list and make a plan for meal prepping. Keep your meal plan where you’ll see it all week long. Throughout the week, as you make your meals, take notes on your recipes and meal plan. Constantly update your meal lists and your shopping list for efficiency. Repeat the process the next week (hopefully at the same time and day of the week so you get into a habit). Let’s go ahead and discuss each step in further detail below. 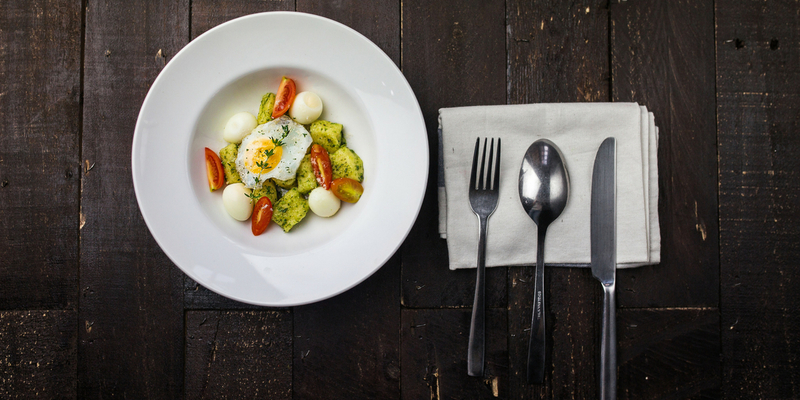 Planning meals before you know what’s going on during the week doesn’t make sense. When you’ve got something going on 3 nights a week, you have to plan around it. You can write what’s happening right on your meal plan if that will help. I use a digital meal plan, so I type in our events for the week, and then I delete them once I’ve planned my meals around those events. If it helps you to remember why you planned meals a certain way, don’t erase or delete the events on your meal plan. For example, say you have a meeting to attend on Thursday evening at 6. If you normally eat dinner at 6, you’ll need dinner ready early so the rest of your family can eat it on time. On your meal plan, write “Meeting at 6, have dinner ready by 5:30” and then you know what kind of meal to make and how much time you can spend cooking that evening. Unless you have a large family with big appetites (think teenagers) you probably won’t go through all the food in your house before the next time you go shopping (especially if you go on the same day each week). Plan the first few meals for the next week based around any food in your house that you need to eat ASAP. 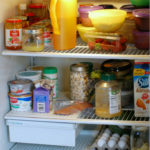 You can take physical inventory by writing down what needs to be used up, or you can just scan through your fridge, freezer, and pantry and plan meals based on what you noticed needs to be eaten. I see meal plans all over the online world (both paid and free) that don’t take into account leftovers or takeout. Most families are going to have at least one night a week where they eat leftovers and even more families like to eat out at least once a week. You know your family best. If you know you won’t eat leftovers, don’t plan for them. Instead of throwing them out, though, put them in the freezer (if it makes sense, obviously, don’t put a salad in the freezer!). Take them out of the freezer once a week and eat them. That way it won’t feel like you’re eating the same thing you just did. Or, if you know there’s no way anyone will eat leftovers, plan for at least one night of eating out. And maybe your family likes to do both. Even better. Then you only need to plan 5 meals a week. As a recap, you’ve now planned one meal around food already in your house and you’ve factored in leftovers and eating out. You probably only need to plan 4-5 more dinners for the week. Resist the temptation to pull out a cookbook or browse through Pinterest for recipes. Keep your meals painfully simple unless you have the time and/or you really enjoy cooking. I usually have the time, but I don’t always enjoy cooking when I have 3 little ones hanging around. I try to plan simple meals just for that fact. Step 5: Plan Your Breakfasts, Lunches, and Snacks, too! I’m often puzzled when I see a meal plan that only includes dinner. I guess most people tend to eat the same thing for breakfasts, lunches, and snacks? Even if you eat the same foods over and over again, write them on your meal plan. It’s easier to make a shopping list when you know all the food you need to buy. If you’re tired of eating the same old stuff for any of those meals, plan something different by simply taking note of what you will try. If you’ve never planned for those meals before, start simple by trying 1-2 meals from each category. For example, for breakfast you could plan to eat oatmeal and eggs/toast/fruit for the week. Alternate these meals on your meal plan and update your shopping list so you have the food on hand. Be specific when you are planning. Don’t just write “oatmeal,” because you don’t even know what kind of oatmeal you’ll be eating. Is it overnight oats, creamy oatmeal, or baked oatmeal you want to eat? Once you have all your meals planned, it’s time to get your shopping list and plan of attack (aka: meal prep plan) ready. When I make a shopping list, I look at each meal on my meal plan and mentally list the ingredients required or I’ll go to the recipe to find out what I need. Before you write down any food, remember the inventory you took earlier (in step 2). For example, if you need oregano for one of your meals, but you already have half a container left, don’t write it on your shopping list. It can take a good 15-20 minutes to make a shopping list, but it’s so worth it because you won’t be running to the store mid-week to get things you forgot (which can end up being much more than 20 minutes!). Be sure you are writing your shopping list according to the aisles of the grocery store. If you have a running list of food, with no particular order, you’ll spend a lot more time at the grocery store. Jot down like items together and your shopping trip will go much smoother. The plan of attack is optional, but it can help you save even more time if you’re willing to try it. When you know what you need to prep before you go shopping, you can come home, put away your groceries, and just dive right into prep. Give the kids something to do (I like to make sure they are either sleeping or watching something so they aren’t going to get in my way) and start prepping food for the week. By prepping food ahead of time, you are making life easier when you need to eat it. 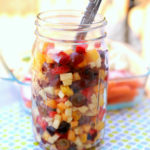 For example, if you have a container in the fridge with veggies completely ready to eat (i.e. 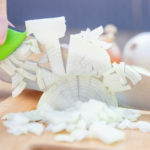 they’ve been washed and cut up as needed), you can reach for veggies as a snack, because you don’t have to take the time at that moment to prepare them. It makes healthy eating effortless. 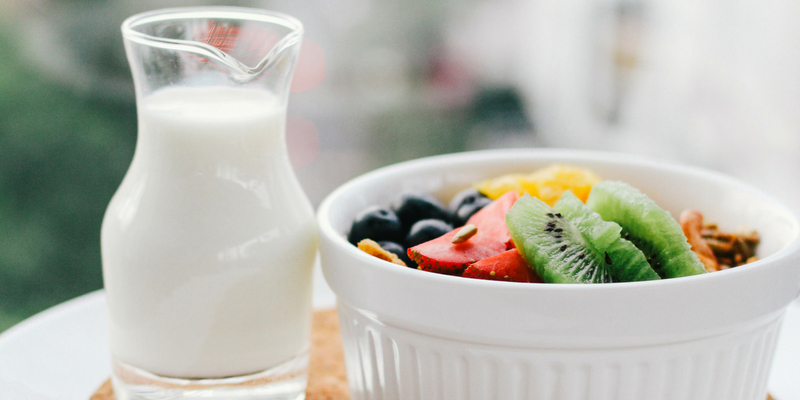 Now that you’ve worked hard to get a meal plan in place, make sure you actually use it! If you are a digital kind of mom, use it as the background picture on your computer or phone. If you are a paper and pen kind of mom, put the meal plan in plain view in your kitchen. Your family will appreciate it, and you won’t forget what you’ve planned to make. If you want to make meal planning easier down the road, make sure you take notes about each meal after you make it. Is there something you changed in the recipe that made your family love it even more? Did you serve it with something that made it even better? Write it down. Stick to a system of how you keep track of your recipes (I use OneNote), and write your notes directly on the recipes. If you like the recipe but think that you can tweak a few things next time to make it even better, take note of it on the recipe. It would also be helpful to keep each meal plan you make so when you want a quick meal plan in the future, you can draw from your past ones. I recommend this method for anyone who has barely any time to fit in meal planning. 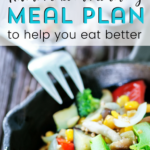 You can read more about how to meal plan for a busy week right here. Part of a smart and efficient meal plan is keeping lists. 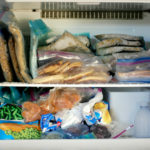 You should have the following lists readily available when you meal plan: family favorites, seasonal meals, quick weeknight meals, meals to feed a crowd, perfect meals to double and freeze, meals you can prep ahead, meals you can make from pantry staples, meals excluding a certain food allergy or sensitivity, etc. When you have these lists filled out and you keep them with your meal planning stuff, you can easily fill in your meal plan and shopping list each week. Don’t worry if you don’t have any of these lists just yet. That will be something you can do over time as you start to meal plan regularly. Now that you’ve made it through one week of meal planning, it’s time to start over. Part of making meal planning work for you is making it a consistent part of your life. Make a habit out of it and you’ll feel like it’s almost no work at all. If you keep lists, keep track of old meal plans, and take notes on your recipes, meal planning will be a breeze and an absolute pleasure. How do you make meal planning a habit? Maybe you already know how to meal plan but don’t do it because it’s not a habit. 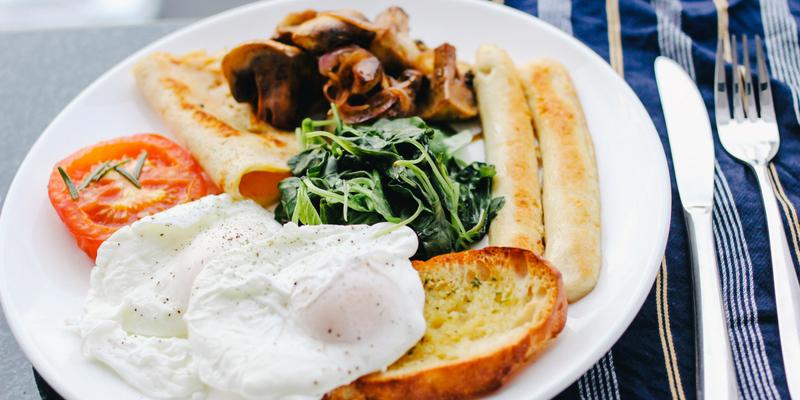 These strategies and smart actions can help you start meal planning consistently. Set an alarm on your phone for the day and time you want to sit down to meal plan. Do it the same time and day each week to help you solidify the habit. 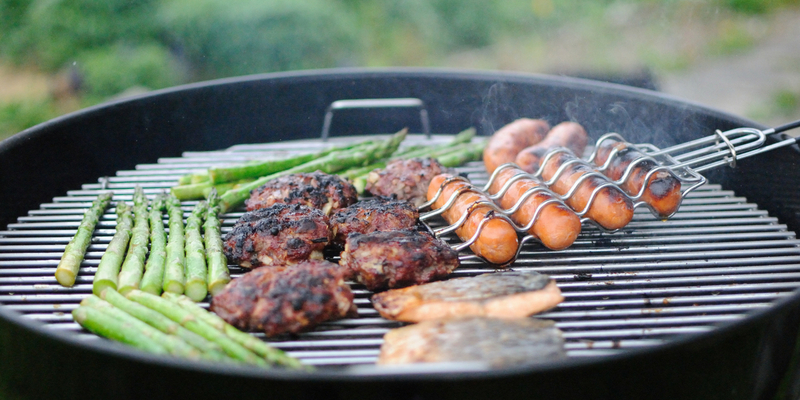 Use a timer while you are meal planning to keep you on track and focused. If you are doing your meal plan using your computer and you’ll have access to the internet, you may want to avoid opening extra tabs with Facebook or Pinterest (unless you really need Pinterest for recipes). Make it a top priority and schedule it on your planner/calendar. If it’s part of your to-do list each week, it’s more likely to happen. Have a designated meal planning spot in your home. Do it in the same place each time to help the habit stick. Tell a mom friend that you are trying to get in the habit of meal planning so she can hold you accountable. If she also has the same goal, you can help each other out by texting to make sure you’re doing meal planning each week. Make it impossible to forget that you are trying to meal plan consistently. You can keep a large meal plan by your dining room table so you see it each time you sit down to eat, or you could put a bunch of sticky notes on your bathroom mirror to remind you. Do something every day for your meal plan. It’s a whole lot easier to remember you are trying to meal plan consistently when you are thinking about it every day. You could set aside 5 or 10 minutes each evening to come up with a couple meals or write a few items on your shopping list, for example. For the first month or two, keep things so simple you cannot fail. Avoid making any new recipes or use a themed meal plan each week. Use a trigger to help you remember to meal plan. For example, right after you put the kids to bed on Thursday night, go to your meal planning spot for 20-30 minutes. Do it for yourself. Don’t meal plan because someone expects you to do it. Instead, think of meal planning as a way to make your life easier so you are doing it for yourself. Once you start meal planning regularly, make sure to give yourself some slack. If you miss your meal planning “timeslot,” fit it in for the next time you can do it. When you first start meal planning, it’s going to feel like you’re sacrificing a whole lot of time to get it done. As you get more efficient, though, you’re going to notice all kinds of extra time during the week. The hope is that you will make up the time you spend meal planning and then some throughout the week.